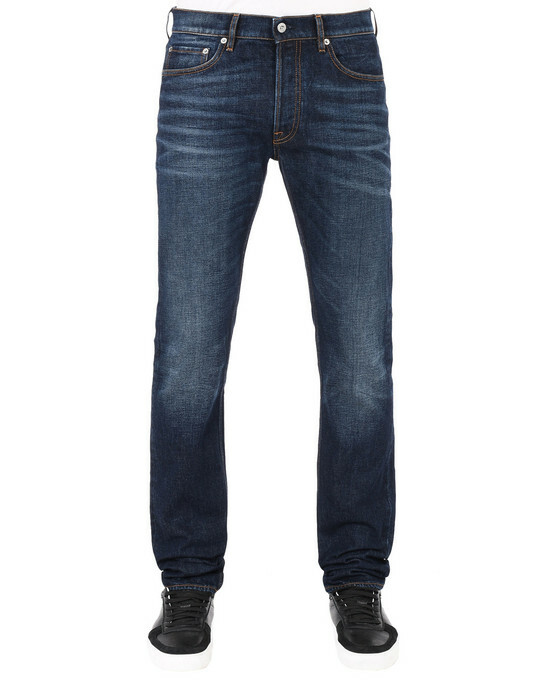 Five-pocket jeans in 13oz. blue denim. 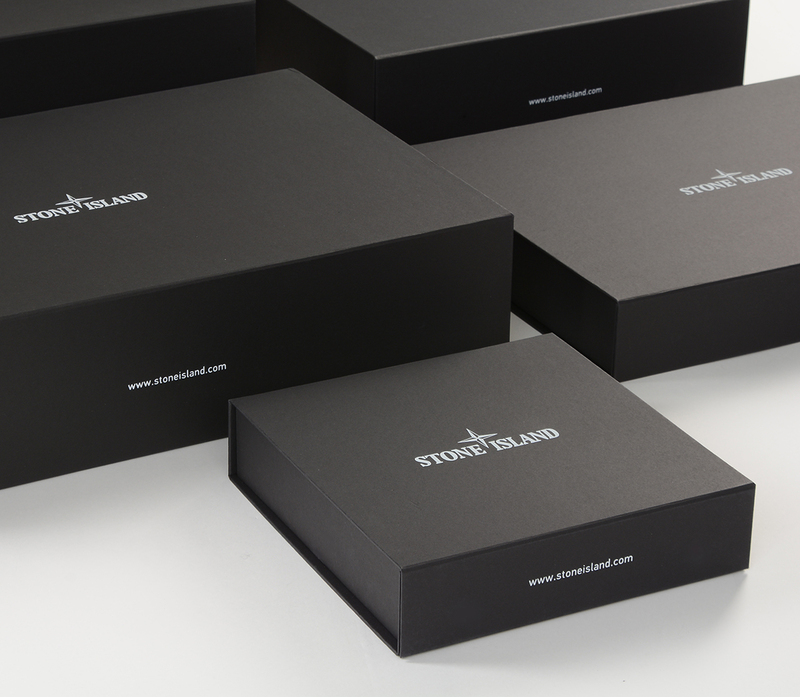 VISC treatment, dark vintage, scratched vintage effect, stone washed and creased. Slim fit. Button fly. 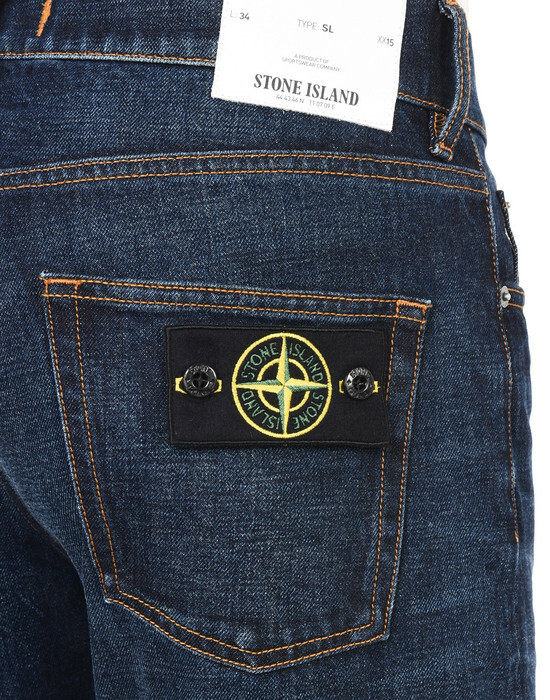 Stone Island badge attached to the back pocket with buttons, with the option to store it inside the jeans.